Get great Celestion tone and easy portability from this road-ready 1x12 cab. 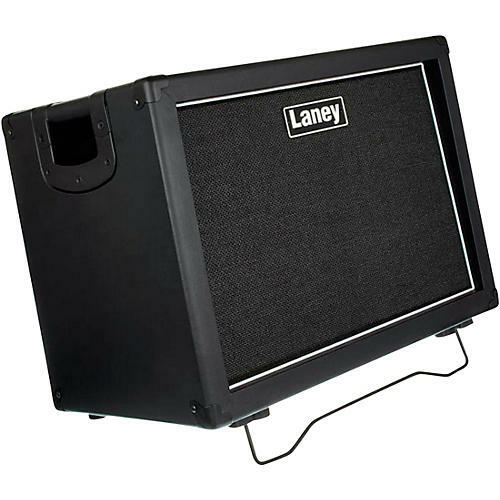 The Laney GS112V 1x12 cab offers 70W of power handling via the loaded 12" Celestion V-Type speaker. The back panel features input and link 1/4" sockets, so you can daisy chain to another cab for even more stage punch. The GS112V also has an angled baffle and tilt-back legs for added projection. Dimensions: 16.9" x 22.75" x 14.1"